Software for the complete control of plant processing equipment. It enables the user to visualise and monitor the status of different functions within the plant, such as Material Loaders, Masterbatch Dosers, Dryers etc. It enables the setting of the main parameters and will control the different types of materials used in the plant through a material database. This material database contains information about material suppliers, stock levels and even drying temperatures and times. 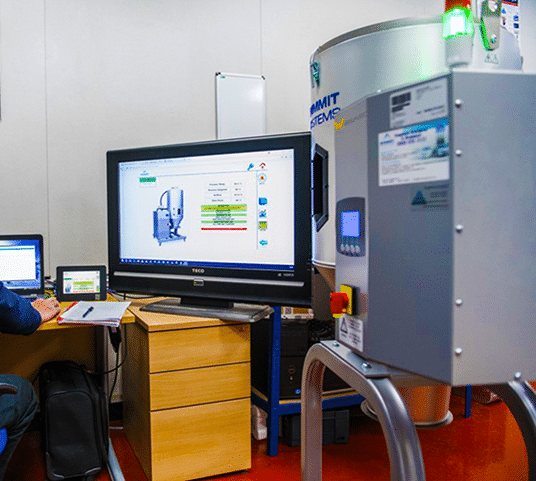 Full process control of machines and traceability of materials.